This book is very old + also valuable. Do not give away but sell it. 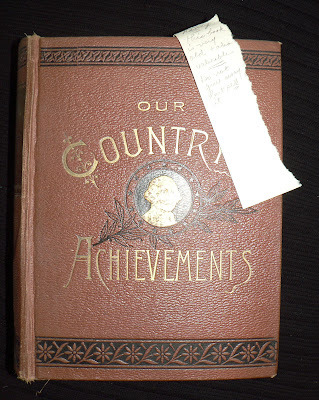 Found in "The Story of a Great Nation" by John Gilmary Shea. Published by NY Publishing Co., 1886. Ed: Purchased in an auction box lot, so I did not get to meet with Nancy. 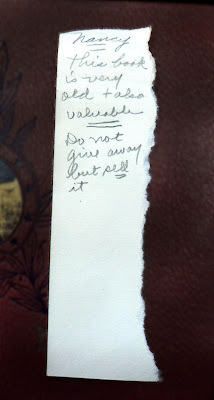 As it turns out, the book is not all that valuable, around $25.00. This copy is in rough shape, so even less. It's what this medium was meant for.